How much influence does HR have? You probably don't have the authority of top-level executives. Or the direct impact that managers wield. In fact, HR doesn't get the final say in most things. There are always CFOs to sign off on benefits, managers to make final hiring and termination decisions, and boards to oversee new policies. But when it comes to corporate culture, it can be argued that no one outranks HR as the authority. When employee engagement is on the line, human resources is usually tasked with making things right. As we head into 2017, there's a lot to be concerned about. Unemployment is down, which makes recruiting more of a challenge. Take-home pay is also down, thanks to rising health premiums. And there's growing unrest about which jobs are going to be replaced by robots in the near future. All of these place huge importance on the individuals in your organization. The ones that are on board right now. Exit interviews are important, but it's even more valuable to spend time talking to the people who aren't leaving. This approach will help you identify issues and problems before an employee is on their way out the door. Set a formal time with each employee. Ask them about what they do and don't like, if they feel appreciated, what they want to see change or added to their employee experience. Normally you'd hope to gather this type of feedback through some sort of suggestion box. But those aren't used very frequently, and most employees won't say much about a linger issue until it's too late. Set a formal time to talk, in an informal setting. Promise confidentiality, and keep it to just you and the employee. This is a great way to learn some major insights about the state of your workforce - before they're on their way out the door. Studies show that benefits are as important (or possibly more important) than salaries. Especially in a world of rapidly-rising premiums. Sure, there's only so much you can do around health benefits as far as controlling costs and usage. Everything else you offer employees? You need to get them using it. 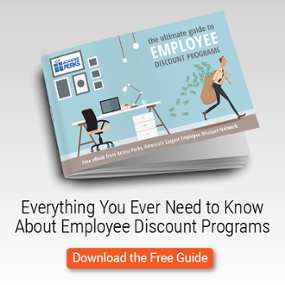 Whether it's an employee discount program, an EAP, PTO, or unlimited helicopter rides, the benefit is useless unless employees are taking advantage. Having a benefit attract recruits. Using benefits keeps employees. But for most benefits, that means you need to take a marketing approach. Set a usage or ROI goal for each benefit and identify what you can do to help people reach those goals. Then identify the tools of communication you have at your disposal - email, intranet, even materials in break rooms. Push your message through influencers such as executives and managers. The more employees utilize a corporate perk, the more invaluable it becomes to them. That makes you as an employer more valuable. It's inevitable that every office is going to have a few people who are actively disengaged. These are employees who don't want to be at your company and may be seeking out ways to damage it from within - all while still accepting a paycheck. These are dangerous people because they can spread discontent among peers quickly. If you don't know who they are, they're worth finding. Stay interviews should help with this, but the best source of updates will be managers. We're not saying to go on a witch hunt, a firing spree, or some kind of anti-disengagement offensive. Don't do anything to create paranoia or force fake engagement. What you seek is understanding and resolution. What's the source of their resentment? What can the company do to help improve their situation? Make reasonable accommodations when possible. Some employees may do well with transferring to a different department. 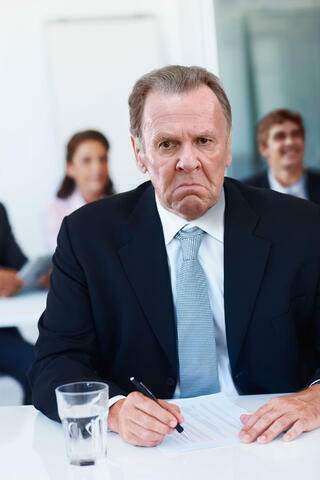 Others may have a grievance with a manager that they've been afraid to mention. In the customer engagement world, an angry customer who is heard and offered a resolution often turns into a loyal customer. The same can be true of your office. An actively disengaged employee can become a top performer when they know the company cares about them as an individual. 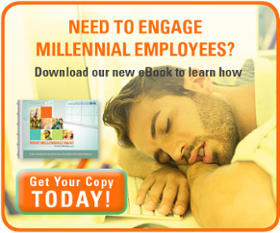 And yes, some actively disengaged employees can't be changed. Your organization is better off sending them on their way. There is a growing issue with boundaries in the workplace. Primarily, there's a tendency to feel like we all have to always on and available, whether we're at our desks, at home, or even on vacation. As a result, people are overworked and stressed, and not as productive as they could be. Do for employees what they may not do for themselves. Encourage them to "go offline" from email and messaging apps unless necessary. 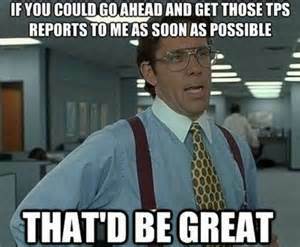 Allow them to focus and find "flow" states without constantly being pinged about TPS reports. Ask managers to stop contacting employees after hours unless it's really necessary. Shut off the air conditioning in the building at 5pm every day to get people out, if you need to. Encourage them to shut out the working world when they're on vacation. Help them see that while they will be missed, there are plans to pick up the slack while they're out. Some of these may require new policies to be set. Most likely though, people are overworking because no one has explicitly told them it's okay to go offline. You've undoubtedly heard about the gig economy and how some companies are outsourcing certain functions on an as-needed basis. This can be a great way to save money. But it could also get you in some trouble. The rules and regulations around these types of employees are still in progress. There are battles as to whether or not contractors are entitled to benefits, for example. At this point, it's best to not go all-in one way or another, but tread lightly. Perhaps a risk just as big is alienating current employees by outsourcing certain roles to contractors. Examine each opportunity and see if there's an internal resource that could fill that hole. Perhaps it's a member of your call center with an interest in coding, or a salesperson who'd like to try their hand at web copy writing. What's going to keep people in the fold and working hard? What makes an employee thrive? It's about benefits and relationship with managers. It's about their access to opportunities and what kind of voice they're able to have. In other words, HR has direct influence (if not always the final say) in the major factors that go into an employment decision. 2017 is going to be a big year full of all kinds of unexpected surprises and changes. It's your opportunity to be the steadying hand in the office, the one with the answers, or at least the ears. Take a proactive approach, and you'll see it pay off in engagement and productivity.